Visit to Birch Hill Primary School. Thank you to Birch Hill Primary School in Bracknell who invited us to visit them last week. 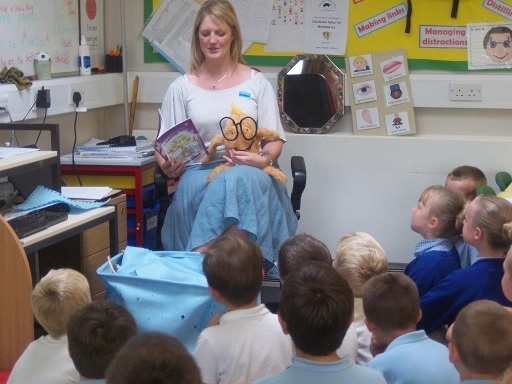 We visited two year 2 classes to do a book reading of The Magic Basket and carry out feelings activity. We look forward to seeing you in the new term. Have a great summer holiday!